Investing.com – Oil prices edged lower on Wednesday, as investors looked ahead to fresh weekly data on U.S. commercial crude inventories to gauge the strength of demand in the world’s largest oil consumer and how fast output levels will continue to rise. 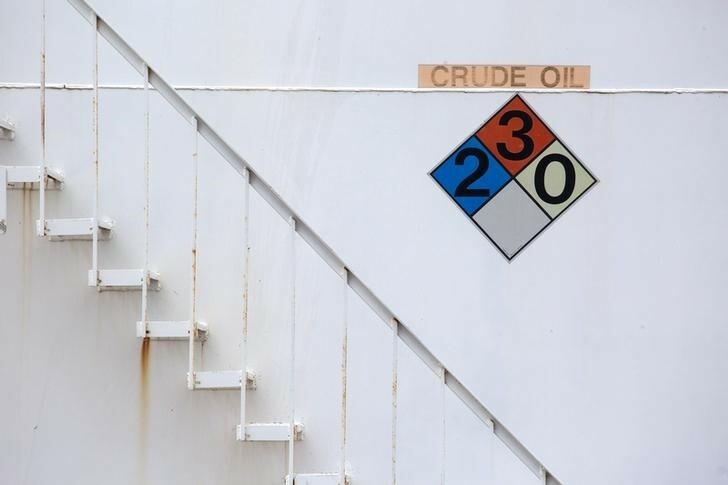 The U.S. Energy Information Administration will release its official weekly oil supplies report for the week ended June 8 at 10:30AM ET (1430GMT), amid forecasts for an oil-stock drop of 1.4 million barrels. Analysts also forecast a gain of 443,000 barrels for gasoline stockpiles, while distillate inventories are expected to rise by 200,000 barrels. The data will also offer fresh indications on how fast domestic output levels continue to rise. U.S. crude production – driven by shale extraction – is currently at an all-time high of 10.8 million barrels per day (bpd). After markets closed Tuesday, the American Petroleum Institute said that U.S. oil inventories increased by 833,000 barrels last week. The API data also showed a rise of nearly 2.3 million barrels in gasoline stockpiles, while inventories of distillates climbed by 2.1 million barrels. There are often sharp divergences between the API estimates and the official figures from EIA. U.S. benchmark oil, July West Texas Intermediate WTI crude was down 44 cents, or roughly 0.7%, at $65.92 a barrel on the New York Mercantile Exchange by 3:50AM ET (0750GMT). Elsewhere, August Brent crude, the global benchmark, shed 49 cents, or around 0.7%, to $75.39 a barrel on the ICE Futures Europe exchange. Meanwhile, oil traders continued to weigh potential outcomes for a meeting of major oil producers later this month. The Organization of Petroleum Exporting Countries (OPEC) is due to meet at its headquarters in Vienna, together with non-OPEC member Russia, on June 22 to discuss production policy. OPEC and non-OPEC producers have been curbing output by about 1.8 million bpd to prop up oil prices and reduce high global oil stocks. The pact began in January 2017 and is set to expire at the end of 2018. However, Saudi Arabia and Russia have said cuts could be eased after receiving calls from consumers including the United States, China and India to support global demand in reaction to lost supplies out of Venezuela and Iran.